The Egyptians, however, refused to set a date for the meeting due to the Muslim holiday of Eid el-Adha. Barak’s calls also went unanswered, Ma’riv reported, as Sisi did not respond to several phone calls from Barak. While Sisi is very familiar with Israel's top military brass as well as with Barak himself, he does not want to talk with the Israeli defense minister because of the sensitivity in Egypt with regard to Israel. Another event indicating the high sensitivity in Egypt toward Israel is the cancellation or postponement of a visit by a high-level Egyptian delegation that was recently scheduled to arrive in Israel. Despite the fact that Egyptian President Mohammed Morsi recently sent a new ambassador to Israel, the staff at the Israeli Embassy in Egypt have been working from a temporary site since protesters broke into the embassy building in Cairo, reported Ma’ariv. A new building to host the Israeli embassy has yet to be located, and the Israeli flag is not flying in Cairo. As well, the report said, the Israeli embassy is working with skeleton staff who stay in Cairo just three days a week, without spouses. Egypt's president has repeatedly said he would continue to maintain the peace with Israel and uphold international documents signed by prior Cairo administrations, despite opposition from his Muslim Brotherhood backers, who have called for a jihad (holy war) to "liberate" Jerusalem. An adviser to Morsi recently called to urgently change the peace treaty with Israel. 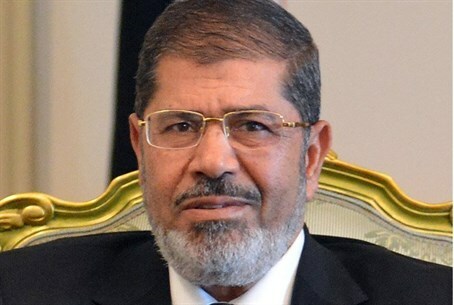 Last week, the Simon Wiesenthal Center called on President Barack Obama to publicly condemn Morsi, after he attended a sermon where the preacher called for the "destruction and dispersal of the Jews." At the same time, Morsi recently sent a letter to his Israeli counterpart, Shimon Peres, in which he referred to the Israeli president as a "great friend."